Doctoral Thesis by Dr. Petro Janse van Vuuren: Mirror Mirror on the Wall: Dramatic Characterisation as a Means for Reflecting on Personal Values. Masters Thesis by Burgert Kirsten: The influence of a team development intervention (improvisational theatre) on climate for work group innovation. Article: Janse van Vuuren, P. 2016. Keeping promises: A Strategic Narrative Embodiment model for designing social change interventions. Drama Research . 7(1). Article: Janse van Vuuren, P. (2013) ‘‘The Keep Them Safe 2010 Project – Using Story to Structure a Programme with Sustainable Impact for 7 000 Children.’ ’ Matatu Journal for African Culture and Society. No. 44, Arts Activism, Education, and Therapies: Transforming Communities Across Africa. Edited by Barnes, Hazel. Rodopi: Amsterdam. Article: Kirsten, B., Du Preez, R. (2010) Improvisational theatre as team development intervention for climate for work group innovation. SA Journal of Industrial Psychology, 36. Article:Janse van Vuuren, P. (2009). Between Blue Beard And my Brothers – Report on the African Research Conference in Applied Drama and Theatre, 2008. South African Theatre Journal, Volume 23, 222-234. 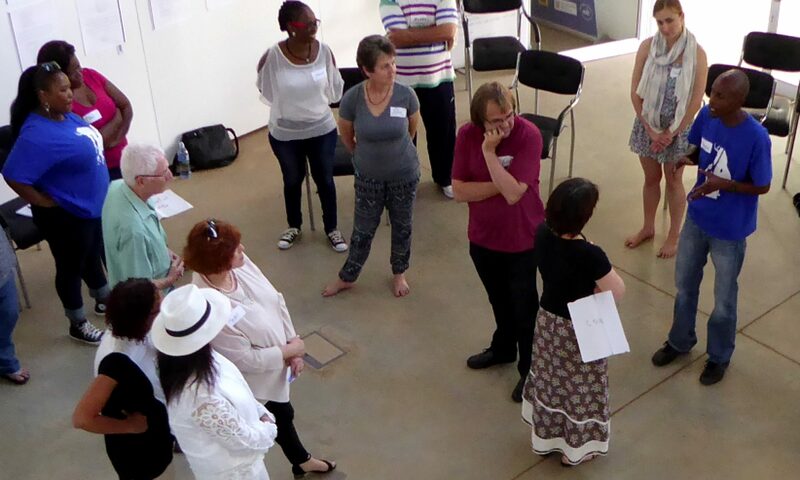 Article: Janse van Vuuren, P. (2007) The Hero’s Thesis, the Researcher’s Quest – Exploring the kinds of knowledge gained from process drama workshops. South African Theatre Journal, Volume 21, 221-240. Experiential learning through interactive drama: An alternative to student role plays. By Boggs, James G., Amy E. Mickel and Brooks C. Holtom. Overcoming managers’ perceptual shortcuts through improvisational theater games. By Corsun, David L., Cheri A. Young, Amy McManus and Mehmet Erdem. Using theater to teach clinical empathy: A pilot study. By Dow, Alan W., David Leong, Aaron Anderson and Richard Wenzel. Arts-based training in management development: The use of improvisational theatre. By Gibb, Stephen. Theater techniques produce star performance at Hewlett Packard… and prepare employees for the fast pace of change. By Leigh, Andrew and Michael Maynard. Through the looking glass of organizational theatre: analogically mediated Inquiry in organizations. By Meisiek, Stefan and Daved Barry. Drama as an opportunity for learning and development.By Monks, Kathy, Patricia Barker and Aoife Ni Mhanachain.